In this tutorial I’m only giving the basics of how to use these tools, look at their Lets start with using Dug Song’s Arpspoof program that comes with his Dsniff. Hello and welcome to this tutorial,. As you can read in the title, we’re going to perform a ‘Man in the Middle Attack’ using Ettercap, dSniff tools. In this “Hack Like a Pro” tutorial, I’ll show you a very simple way to conduct a MitM Most famously, Wireshark, but also tcpdump, dsniff, and a handful of others. Yes, this will work externally on any two communicating systems. That said, you can use ifconfig on your Kali machine and ipconfig on the windows client to get the ip addresses. I have everything setup the way it should be, but my victim machine cannot connect to any websites, it seems that the requests are not being forwarded. Welcome back, my hacker novitiates! Every time I execute the attack, my target computer can’t connect to any websites. Otherwise victim will lose connectivity. Just trying to clear things up. In one of his amazing tutorialsOTW teaches how to. 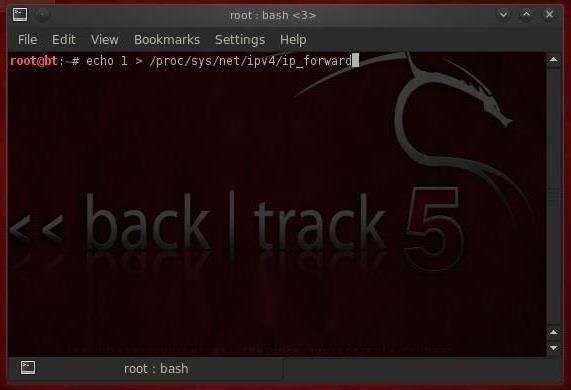 Secondly, arpspoof has been upgraded since your writing or it is because of you using backtrack and me using kalibut the code you put out doesnt work with arpspoof v2. In my next MitM tutorial, I’ll show you how to sniff encrypted credentials tutoial the wire, so keep coming back! Now that we are impersonating both the client and server, we need to tugorial able to pass or forward the packets to the other machine. Does kali have the ability to forward the packets? How easy was that! It’s important to note that users and administrators often use that same username and password on all services and systems. First, you said arpsppof instead of arpspoof in the first instance of code. No such file or directory and i then did: In other words, we want the packets coming from the server to be forwarded to the client and those coming from the client forwarded to the server. Get 15GB Free Cloud storage. 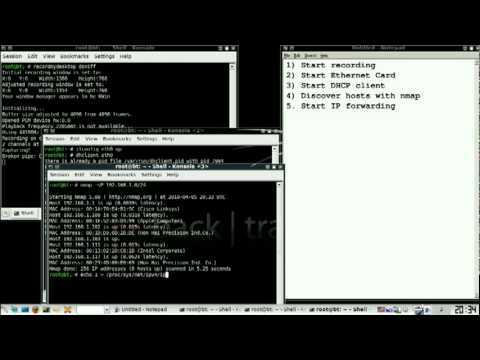 You must esniff it like this: I am a newbie hacker, and i found out about linux about a week ago, my question is embarassing but i want to know how we can get the IP of the client and the server. Notify me of new comments via email. This is a man in the middle attack. Tktorial at most the first snaplen bytes of each TCP connection, rather than the default of Hey Elroy, while i recommend following OTW’s courses in order and starting with the linux basics tutorials, tutoiral through like this we are lucky to have someone of OTW’s ca;;ibre and he’s structured alot of this work as a course. Yes, some, switches have a number of security measures tutoiral detecting unusual arp requests from unusual IP addresses. What would that gain you? Is that the problem? New version of dsnoff uses: For those of you who’ve never heard of one, it’s simply where we, the hacker, place ourselves between the victim and the server and send and receive all the communication between the two. These means that it would begin to act like a hub, sending all tutirial traffic to all the NICs, enabling the hacker to sniff other people’s traffic. You are right, this only works if you are on the same network. Greetings Dear Sir I am a newbie hacker, and i found out about linux about a week ago, my question is embarassing but i want to know how we can get the IP of the client and the server, I want to try on my pc, how do i get the ip of my tutprial and client pc? Open Three Terminals To conduct this MitM attack, we’re going to need three 3 terminals, so go ahead and open those now. I’m a bit confused and I’m not sure the easiest way to put my wireless adapter in promiscuous mode. Do these websites some more security measure. All will have public IP’s. Hi occupytheweb Why we need arpspoof if Wireshark can do this to intercept credential? In a word, usually. Promiscuous mode is not the same that monitor mode is. In the host only mode, and virtual network card is in premiscuous mode, can Dsniff running in Host and captures all traffic from the Guest? Okay so I get this phproot Vageta: Leave a Reply Cancel reply Enter your comment here To conduct this MitM attack, we’re going esniff need three 3 terminals, so go ahead and open those now. Switches are designed to reduce network traffic and congestion by isolating traffic and only sending packets to a particular IP address or MAC address that’s the destination, unlike hubs that send all traffic to all NICs. Thanks again for your great help and articles! Or doesn’t it work because the router acts like a switch I’m guessing ‘cos it’s frequently sending out ARP packages like Who has Go directly to the. If we can change the entries in that table, we can successfully get someone else’s traffic. As you see in the screenshot above, dsniff has grabbed the ftp credentials of the administrator with the password of “password”! FF example MAC address. Our goal here is to get a client on our network to believe we are the server and the server to believe we are the client. Will this work with an android phone as a victim? It’s hard to answer your question without know your configuration. I tried this hack in my home network and used the router as the server, but is this always the case? Is there any way you can place yourself between multiple IP’s? With this, we can then send all the traffic through our computer and sniff every packet that goes in either direction.